It’s a gardener’s worst nightmare — a young tree, lovingly established and bathed with affection refuses to come into its own, instead collapsing several years after planting. The tree didn’t have problems with insects or any visible diseases, it just faded away. 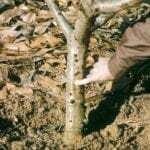 The culprit in cases like this is often phytophthora, a soil-borne pathogen that infects trees, woody plants and even vegetables. Once known as phytophthora fungus, this organism is now classified as an oomycete, a life form similar to fungus but more closely related to algae. 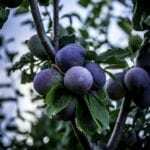 Although perhaps an insignificant distinction when your plants are ill, this new understanding may allow for better control methods in the near future. There are many phytophthora species, some that favor warmer weather and others cooler, but the majority of these oomycetes appear in the spring and fall. Phytophthora symptoms are often generalized, causing weakness and slow collapse in affected plants. Early warning signs are few; most plants appear drought stressed regardless of adequate watering. Some plants wilt and die from water stress during the first warm weather after infection, but others linger for several years before succumbing. Leaves may appear dull or fade to yellow, red or purple long before fall sets in. A tree demonstrating phytophthora symptoms can sometimes be saved by removing the soil from around the base of the tree all the way down to the top of the main roots, cutting away any bark that’s oozy or dark and leaving the root system exposed. This allows the root system to dry completely, slowing the spread of phytophthora. In most other cases, phytophthora management is limited to prevention. 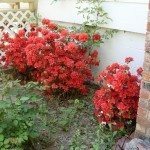 Trees and shrubs, like azaleas, should be planted in well-draining areas, so their roots remain dry for most of the day. Phytophthora only needs four hours of standing water to germinate, making it difficult to combat in areas with poor drainage. Some gardeners get around this by planting their landscaping on mounds 8 to 10 inches tall and being extra careful to plant crowns at the same depth they were at the nursery (often indicated by a dark line on the trunk). Well-established trees are less frequently affected than younger trees because they have widely spread roots that provide lots of avenues for water and nutrition. If a few sections are damaged, they are prepared to compensate. In smaller plants, such as shrubs or vegetables, all bets are off — they can be lost to phytophthora before you even realize the disease has taken hold.